When Buzz Bishop first heard of it, he thought it was a great idea. camera (STOCK PHOTO/Getty Images) A girl holds a gift at birthday party in this undated stock photo. When dad blogger and radio host Buzz Bishop first heard of a 50-50 birthday party, he thought it was a great idea. Instead of getting a bunch of gifts that you may not want or need, at a 50-50 birthday party the host suggests a cash gift. Half of the money goes to the birthday kid to purchase one larger gift for themselves and the other half will be for a charity of the child's choosing. Bishop, the man behind the site Dad Camp, thinks that a 50-50 is a win-win. So much so, that both his boys used the idea for their own parties. Giving birthday gifts is "a gift for the sake of a gift," Bishop said. 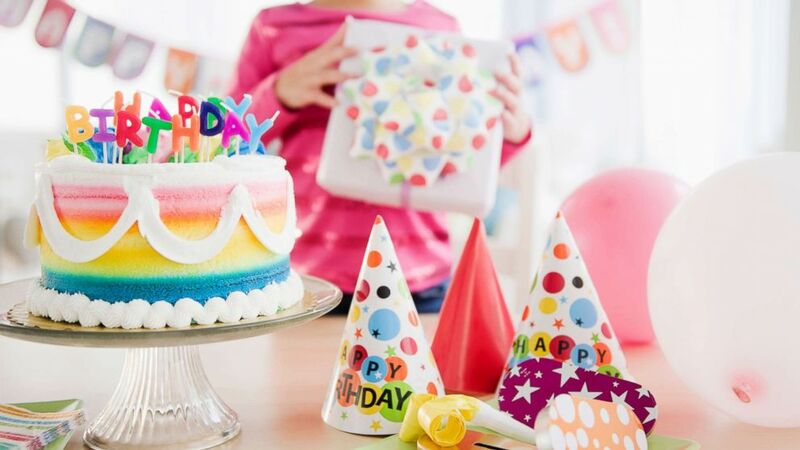 "After one party where we had a dozen toys that cluttered up our playroom or weren't in our sons' wheelhouse, we decided the 50-50 party would be a great way to teach our kids to give back, they'd get something they actually liked, and it would save parents the stress of buying a gift," he explained. "When we send out the invites, we include a note suggesting people just bring a card with cash," Bishop told "Good Morning America." "We explain the 'big' gift our son wants -- usually a video game or LEGO -- and we talk about the charity they want to support." (Buzz Bishop, DadCAMP.ca.) Charlie Bishop had a 50-50 birthday party. As for the cash ask, Bishop admitted it took a while to get the wording right. "'Small cash gift' is how I described it, explaining that half would go to charity and half to buy whichever toy our son is craving at the time," he said. 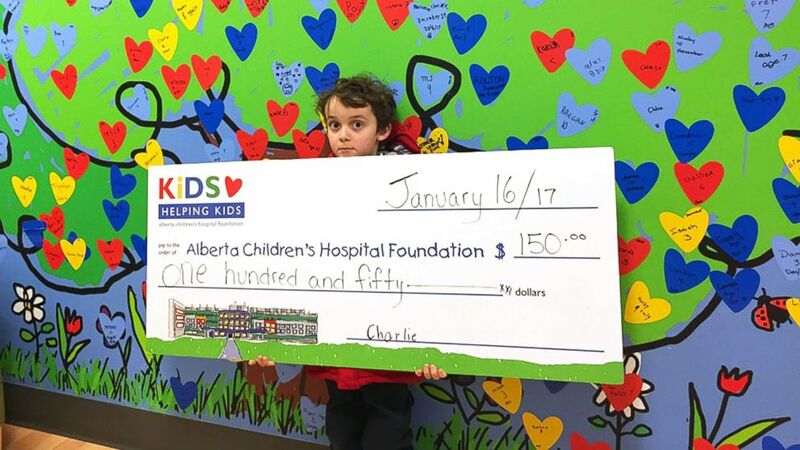 For Charlie, 8, that's the local children's hospital, where the money goes to buy toys for the kids. 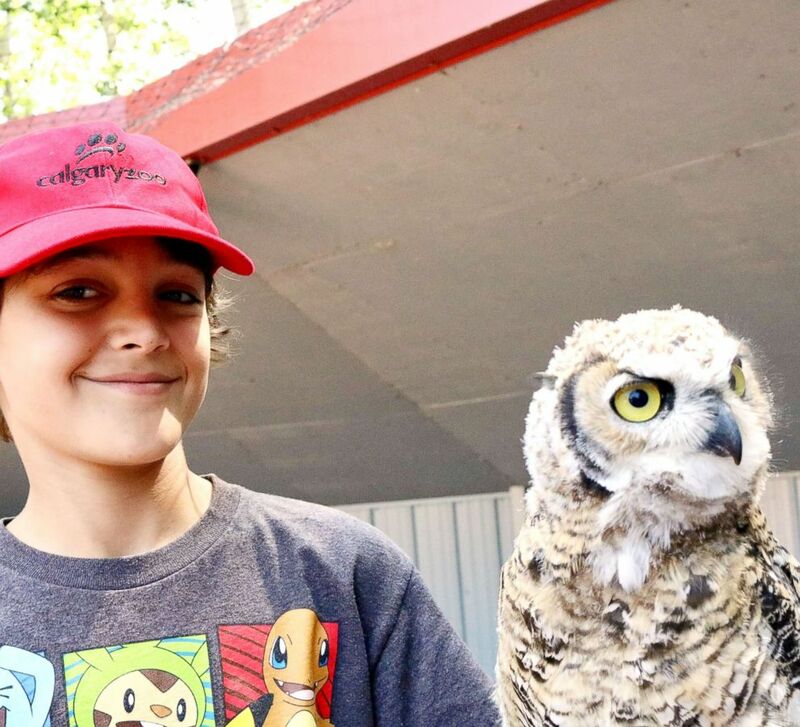 For Zacharie, 11, it's a Birds of Prey Center that looks after injured eagles, hawks, falcons, and owls. Bishop isn't the only parent to employ the 50-50 strategy. He said other kids at his sons' school are doing it as well. Other parents take the 50 out of the 50-50 and request no gifts at all. In January, Hennigan hosted a birthday party for her 5-year-old son. Guests who made charitable donations informed Hennigan and her family by including the information in birthday cards. If gifts were brought anyway, they were donated to Ronald McDonald House, she said. Bishop said it's 100 percent 50-50 for his family going forward. "It's cut down on the clutter," he said, "and my sons have become very passionate advocates about the charities they support."